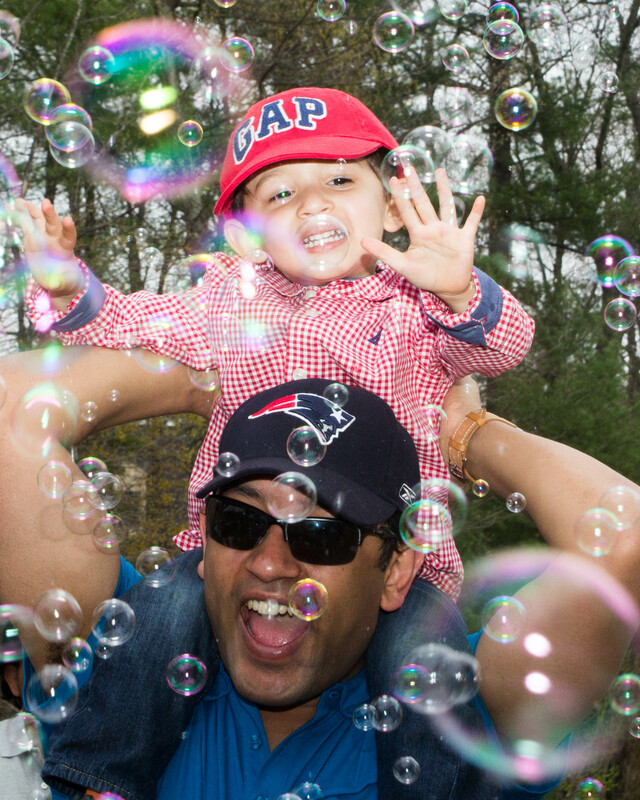 Bubble Parties are a great kid friendly program that adds Music, Fun, and Excitement to your next event. 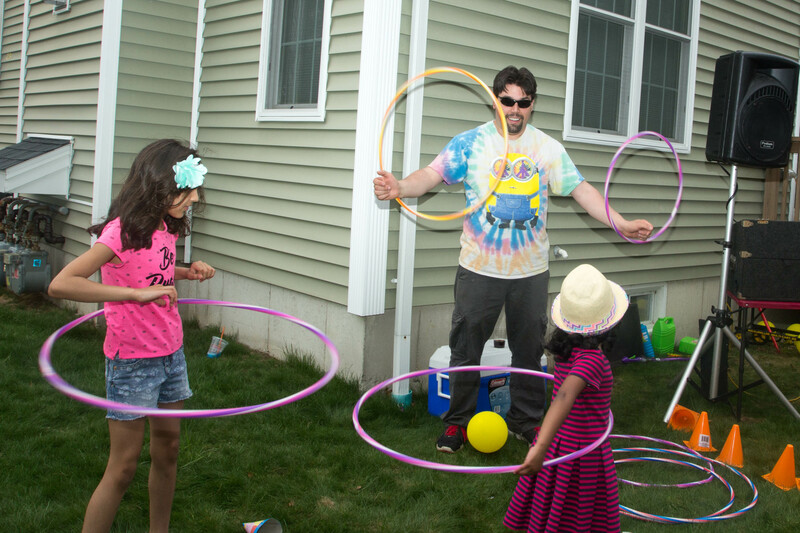 Our program is designed for day care centers, pre-schools and children’s events throughout the New England area including Massachusetts, Rhode Island, Connecticut, and New Hampshire. 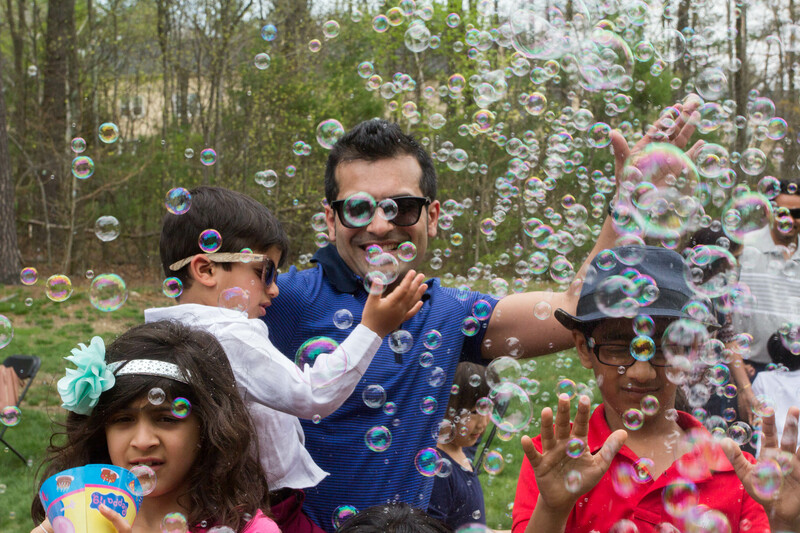 A Kid’s Bubble Party is our popular 1 hour children’s program that is designed for children ages 3 to 9 years old and brings together musical fun, interactivity and BUBBLES! This program includes interactive activities such as the limbo, sing-alongs, and easy to learn dances. 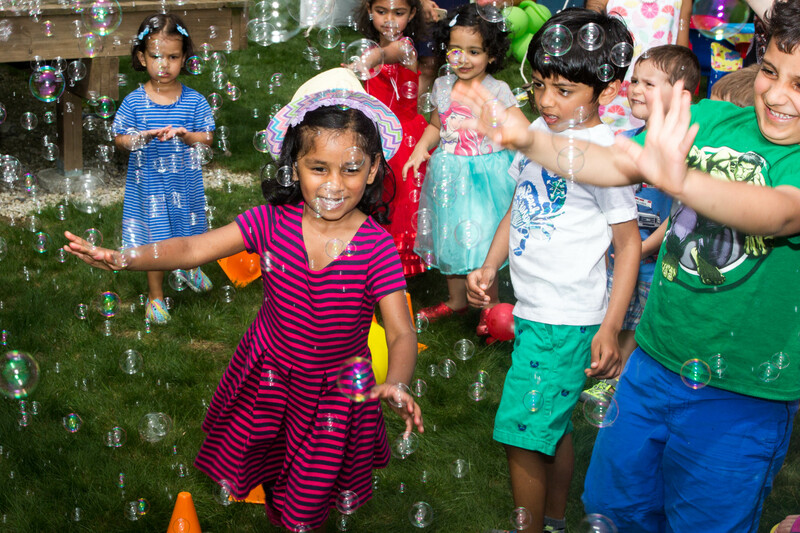 Our Infant/Toddler Bubble Party is designed for children 3 years old and younger. 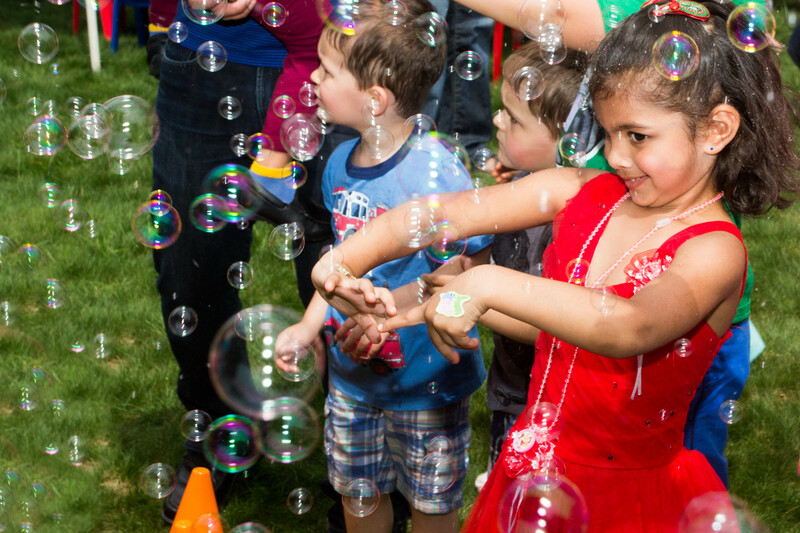 In addition to the kid friendly music and thousands of bubbles, this program includes handheld bubble toys for the children to use throughout the show! 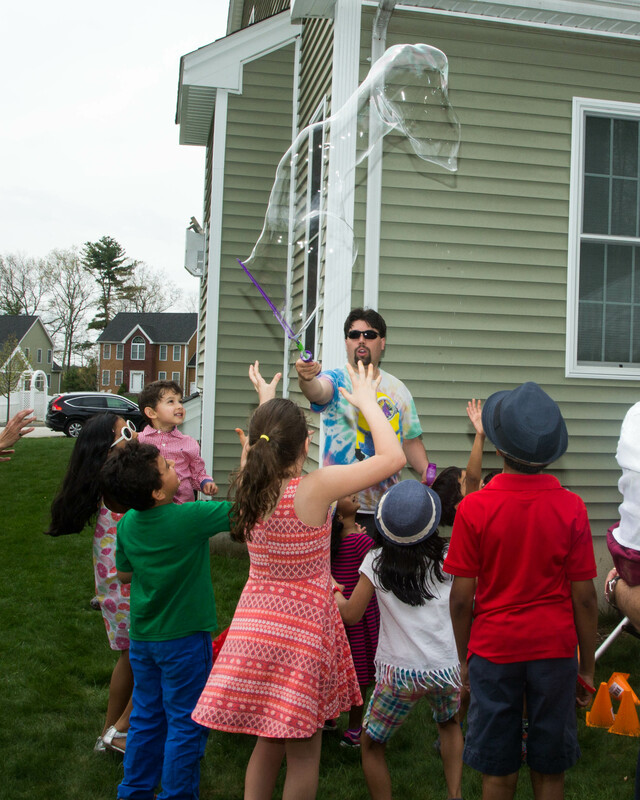 A Tween Dance Party (with Bubbles) is a program designed for kids ages 9-13 years old. 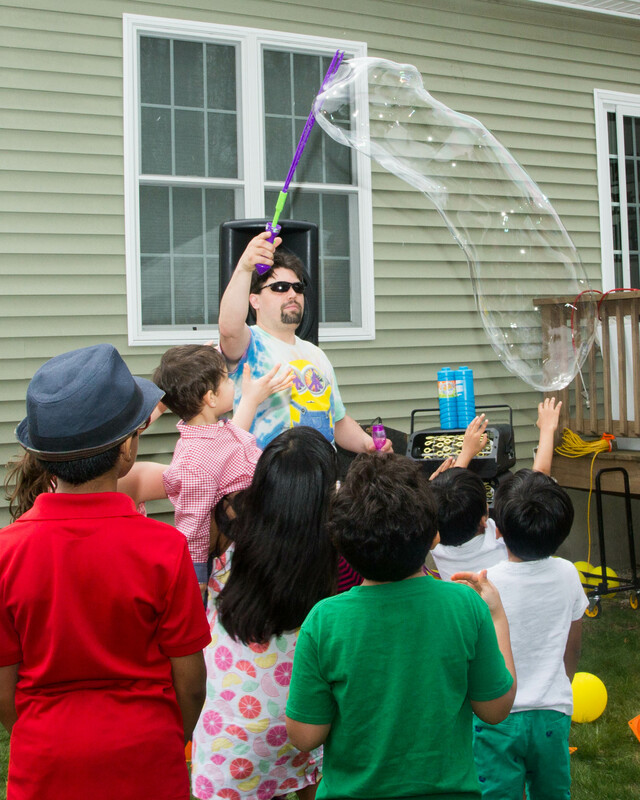 This program includes current hit music appropriate to their age group, with the fun of bubbles. 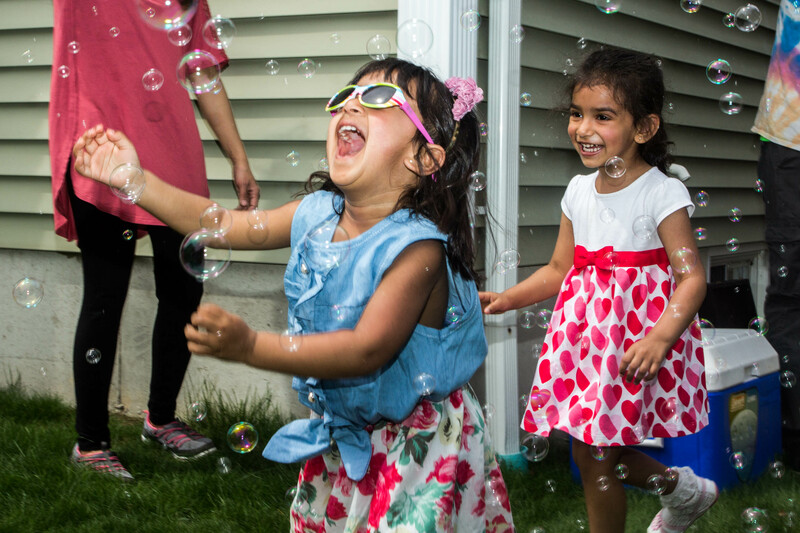 Where can Kid's Bubble Parties be performed? 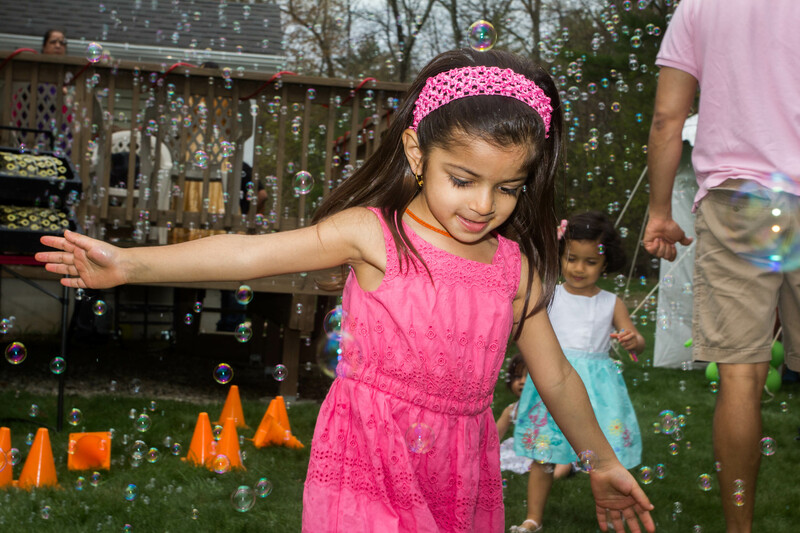 Kid’s Bubble Parties can be performed at day care centers, child care facilities and residences throughout the New England area including Massachusetts, Rhode Island, Connecticut, and New Hampshire! 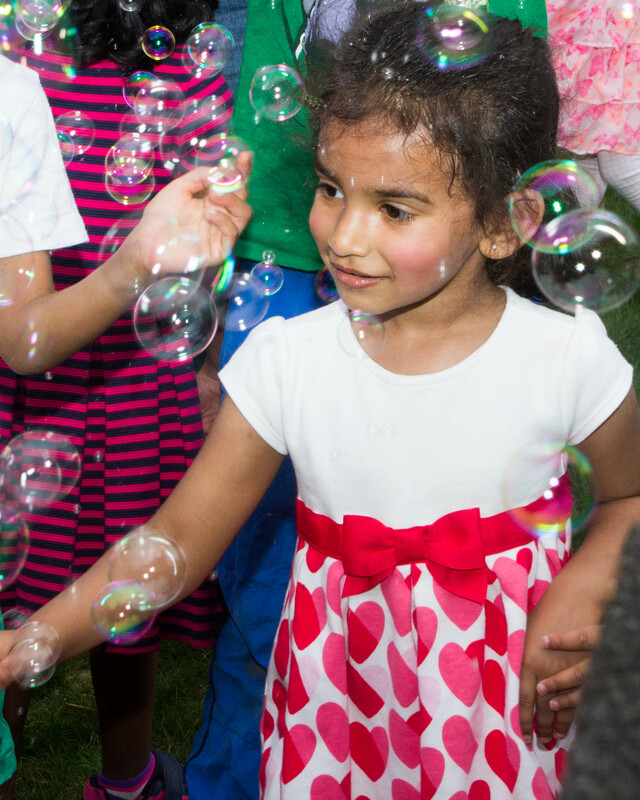 In most cases, our shows are performed outdoors where children are free to run around and enjoy the music and bubbles. Decisions concerning inclement weather must be made at least 2 hours prior to the scheduled start time. In the event of inclement weather, we would first explore the possibility of performing indoors. Indoor performance spaces must have wall-to-wall carpeting for safety reasons. Should an indoor performance not be an option, we can re-schedule the show for another day and time. Rain dates can be scheduled ahead of time for an additional fee. 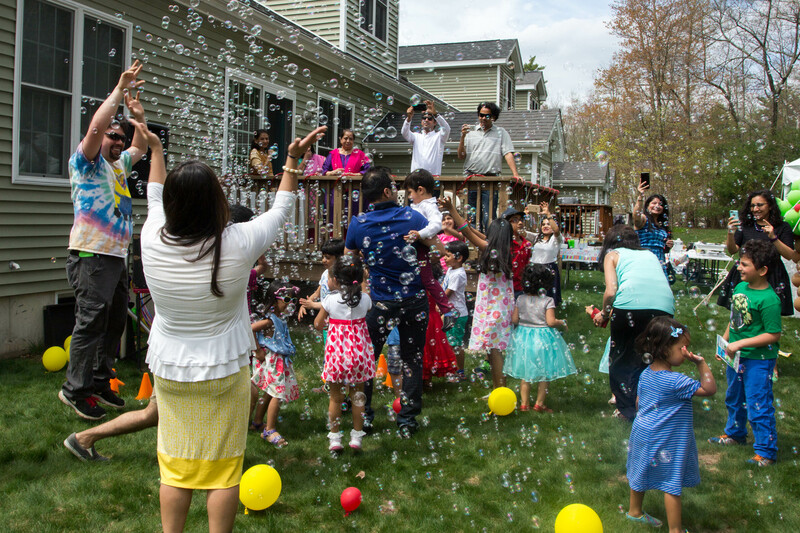 How much does a Kid's Bubble Party cost? 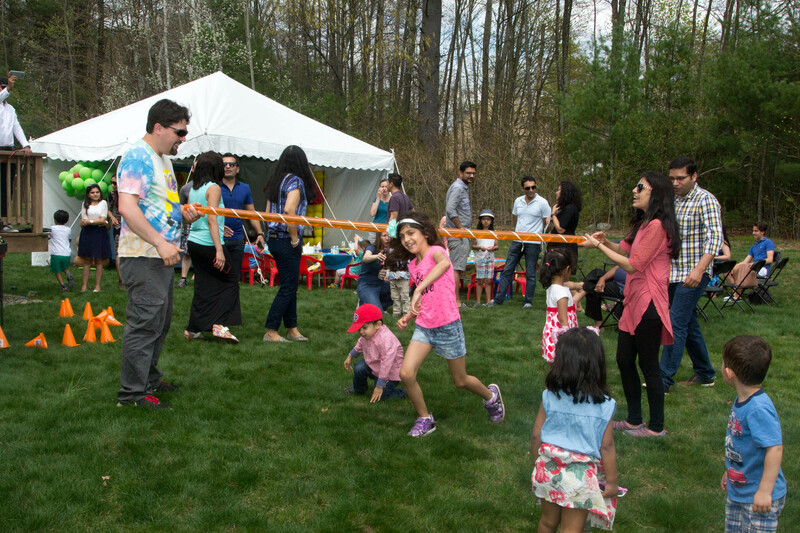 Every Kid’s Bubble Party includes one hour of FUN with Bubbles, Kid friendly music with songs they know and love, and Interactive dances, games, & activities such as The Limbo, Hula Hoops, Big Bubble Shows and more! All Bubble Party rates are based on a one hour performance. Weekday rates (Monday through Friday) start at $200 and Weekend rates (Saturday and Sunday) start at $300. Additional time can be added to any show in 30 minute increments for an additional $75. 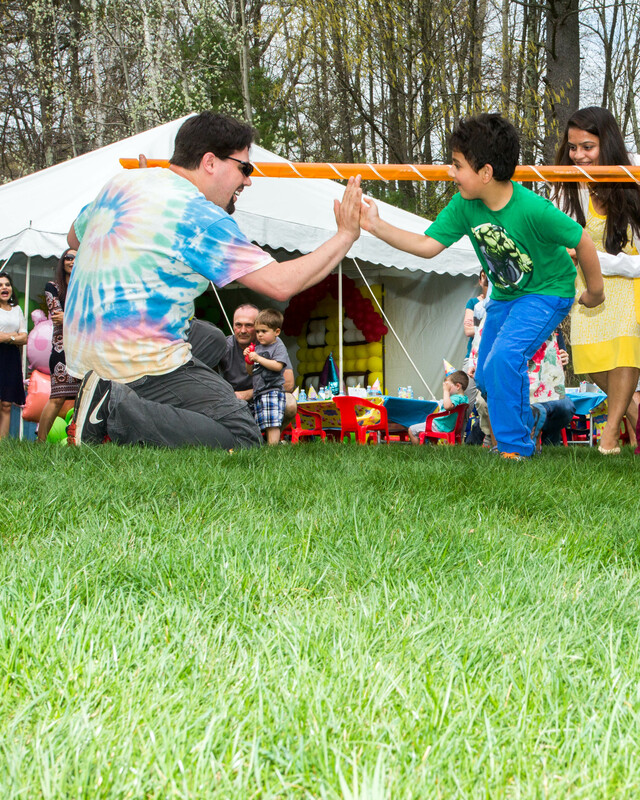 We typically recommend adding additional time when anticipated show attendance is over 60 children. Of Course! Magic Mike Entertainment, offers a variety of entertainment services for audiences of all ages. 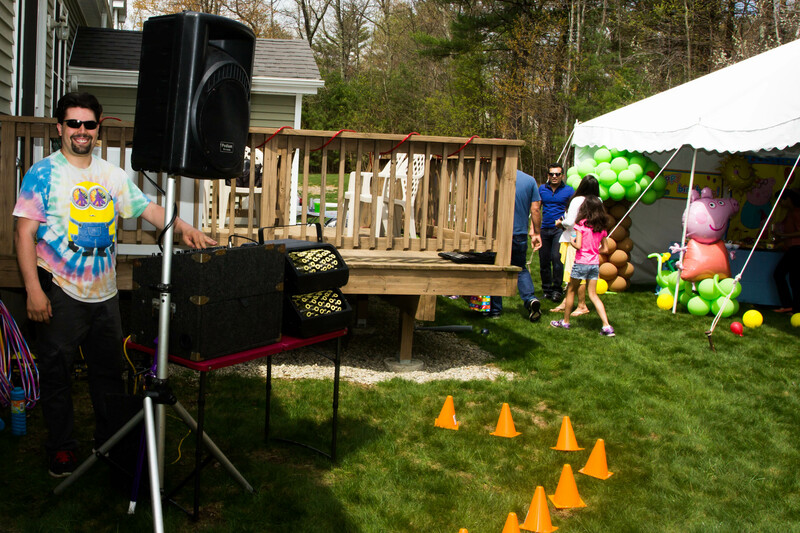 Call 978-821-3395 with the details of your upcoming event and we’ll be happy to help!